Although the Ionic Storage package is great to store almost any kind of data, many of the readers wrote they are using MySQL on the backend side and need some more equivalent storage inside their Ionic app so we’ll go for an Ionic SQLite App today. 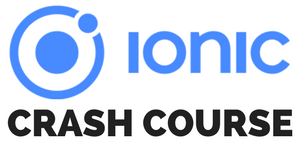 In this post we will see how to easily import SQL data into our Ionic app, and how to work with queries to retrieve or modify our stored data! Note: If you have some sort of MySQL database you should still work on a REST API to deliver the data and don’t work directly on the database. We also create a provider for all of our database interaction right here. As said before we want to fill our database with some initial values. You can do this of course with the standard Ionic SQLite wrapper but you would either have to prepare each statement accordingly or split up your SQL dump into the right format, which is sometimes not a good idea. The SQLite Porter plugin would also allow to import JSON data, but here we stick to SQL. We just create one new table and insert some data sets. Now we are all set up to use our database! The provider will act as some middle layer for all interactions to the database, just like in other examples where we perform REST calls or have any kind of specific business logic. Once our platform is ready we create or open a new SQLite database on our device, and once we are ready we can fill the database with our SQL dump. But we only do this on initial startup, because otherwise we would insert the initial data over and over again. You might also notice the BehaviourSubject we are using, perhaps this is new to you. Basically it’s kind of an Observable and we can emit new values to the subscribers by calling next() on it. We use this mechanism to let our class later know that the database is ready for interaction so we can prevent race conditions between platform load, open database and so on. To fill our database we use the previously added SQLitePorter where we pass in the database and also the content of our SQL dump which we need to load before. To subscribe to the Database ready state we use our own Behaviour subject and return it as an Observable to whoever wants to subscribe. To get all stored developers in our database we perform a simple SELECT statement against our table and transform the result from the SQL statement to a useful array which we can return to our calling class! If we now want to add a developer, we can again perform a SQL query to insert the new data into our database. Basically, you can now write any SQL query you can come up with to search data or perform whatever action you need to do! It’s time to actually use our new provider, so first of all we craft small view with a few input fields to capture new data for the database. Nothing really special here. Now we only need to connect the according functions and everything should work. As we have most of the logic inside our provider, the class of our view is quite small. Inside our constructor we subscribe to the database state, and once the value changes to true we try to load our initial developer data. By doing this we prevent that the constructor calls the load before the database is actually ready, which would result in an error and no data inside our view. When we add a developer we expect the database to be ready already, we just call the according function addDeveloper() of our provider to insert a new row into our SQLite database. That’s all, now you only need to make sure you run this app on a device/simulator as we make use of the underlying SQLite database which is not available inside your browser if you use the preview or lab function! With the right plugins we are able to build an Ionic SQLite app to import SQL data (or even JSON structure) into the SQLite database of a device. The Ionic Storage plugin is a bit easier to use and also works inside our browser but has dropped support for the query() function, so if you really on this function you might need to access your database directly through these plugins. You can also find a video version of this article below!